"Five of your favorite blogs and what you love about them"
This may just be my favorite blog in the whole wide world (and that's saying a lot). I have a serious girl-crush on Melissa. Her writing is extraordinary and simultaneously makes me feel like I've gone back in time and am a part of her family. I've been reading her blog since she was pregnant and started writing letters to the baby girl in her belly, who is now an active and imaginative three year old. When she announced she was pregnant with her son I was just as excited for her as I would be for a close friend. It's so obviously from her blog that she loves being a mother and doesn't take a minute for granted. I love that about her. And I love how I've grown as a mother right along with her. This may sound weird, but I remember watching a video of Everly bouncing in her jumperoo over and over again when I was desperately wanting to get pregnant and just crying because it was the sweetest thing I'd ever seen. I wanted a baby so badly it hurt and yet that video (for whatever reason) made me so hopeful that I'd have a little jumping bean someday too. I don't know - see, that sounded weird, didn't it? But anyway, I love this blog. 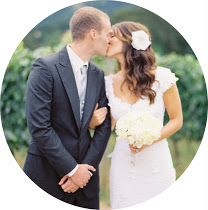 Liz is a Portland native currently living abroad in Amsterdam with her hubby and pup. Her blog is filled with gorgeous photography, amazing travel stories, beautiful fashion and adventure. I'm fascinated with Americans living abroad (fascinated = insanely jealous) and this blog definitely fuels my wanderlust. Speaking of being insanely jealous of where someone lives, meet Meagan, who lives in Jackson Hole, WY. 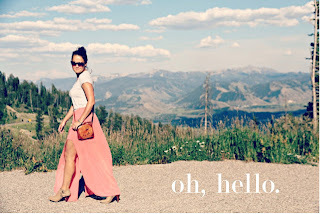 Her blog is filled with gorgeous photography, hilarious stories, great fashion, mountain adventures, food, fun and my favorite place in the continental U.S. (Jackson Hole). One of these days I'm going to get back out West and stalk invite Meagan out for a drink. I'm pretty sure we'd be best friends. Or my husband would leave me for her. Either way. Natasha is one of the sweetest little mamas out there blogging. I just adore her blog, her style, her sense of humor, her Southern charm, her gorgeous little girl (with another on the way)...well, basically everything. She seems so down to earth and fun. I've loved following along as she planned her gorgeous wedding and it's been amazing watching her become a mom. We were pregnant at the same time (she was a few months ahead of me), so I had the benefit of seeing what she wore (and then ordering it), what she registered for (and then registering for it), etc. She's been a great resource for all things mommy. 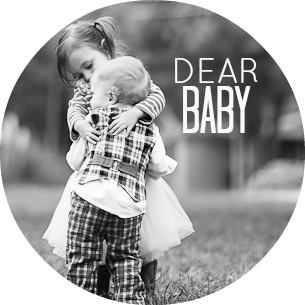 This little blog may be the best kept secret in mommy-hood. Hannah is a fellow St. Louis mama with 3 daughters, ages 1, 2 and 3. I was introduced to this blog a few years ago and cannot get enough. To say Hannah's hilarious is the biggest understatement of the year. I love the foul language, the sass, the desperation in her posts. Not for the faint of heart. She most certainly does not sugar-coat being a parent and yet manages to make it all sound absolutely hilarious and crazy and awesome. Curse you for adding to my already overflowing feed reader!! All of these blogs are awesome. Including yours!! 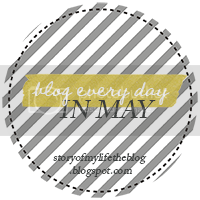 Ohh I will have to go check these other blogs out- I love hearing about new blogs I should be reading! I'm not familiar with any of the blogs except Natasha's. Looking forward to checking them out. Love your blog though! Definitely, a fav! I've definitely just added most of these to my Bloglovin' feed...which already doesn't get enough love! However, these all look absolutely fabulous! Thanks for sharing! Hey thanks for the blog love - right back atcha sister! Fun! Can't wait to check these girls out :) Hope you guys had a great Memorial Day! Thanks pretty lady and we will definitely need to get a drink when you get out here! I am always looking for new blogs to read! Thanks for sharing. Adding these to my reading list right now!